There’s something about Doritos that just brings out my inner 13-year-old boy. And this? It’s like one huge Dorito as opposed to a million little ones. 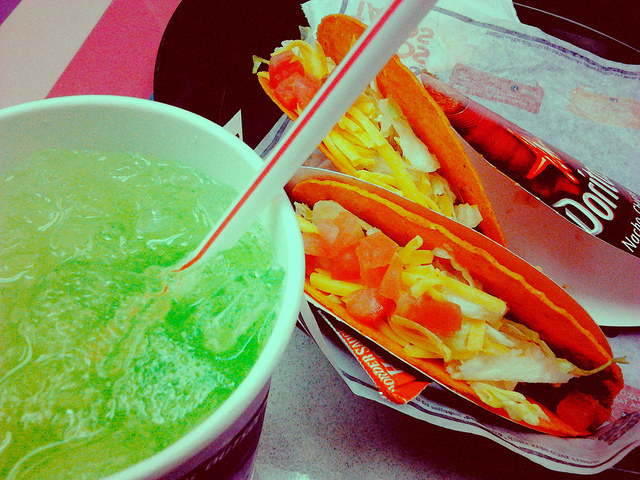 I’ve eaten at Taco Bell twice, maybe three times in my life? It’s just never been a part of my fast food routine. I will occasionally crave a bad-for-you burger or bad-for-you milkshake or bad-for-you fried chicken but never a bad-for-you cheap taco. However, I have a secret lust in my heart for Doritos. Doritos are junk heroin to me and I typically stay far, far away because I know if I got anywhere near a bag of them (regular or Cool Ranch), I’d come close to eating the whole bag. There’s something about Doritos that just brings out my inner 13-year-old boy and I want to eat them while lying on the couch when I should be doing something else, like homework. Maybe what I’m interested in in re: this taco is the portion control of the shell. It’s like one huge Dorito as opposed to a million little ones. I’ve even heard some friends who have tried it say it’s “not bad” and they “don’t regret” eating it. I vaguely recall that the last time I ate Cinnabon, I thought to myself, “I never need to eat this again.” The smell is more enticing than the taste. 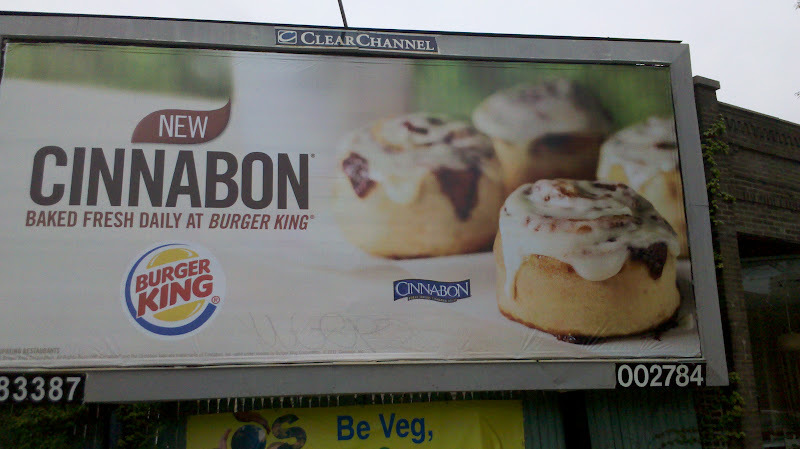 But for some reason Burger King’s billboards advertising the 730 calorie bombs have got me thinking, “Now that’s a breakfast/snack/dessert I need to try!” My husband has suggested that maybe I’m not so much craving crap in my pregnancy but just extra-susceptible to advertising. Oh Chicago pizza gods, forgive me but I want to sin. It’s been over ten years since I’ve eaten a nationwide chain’s pizza (Domino’s in college) but I really want to order Pizza Hut’s $10 Dinner Box, which consists of bad pizza, and then bad pizza remainders in the form of breadsticks and cinnamon sticks which I think are actually the same thing. I know it must not be very good but sometimes bad food can kind of be secretly good. Perhaps you need to be in your 20’s or drunk or stoned in order to enjoy this but still, I kinda just want to hunker down over this box of cheap carbs. I want to eat it the day before I’m due so I can jump right into my post-baby health kick with a vengeance. If anybody has tried any of these foods and can tell me definitively that it’s not worth it, or have any that I should add to my temporary shopping list, please let me know. Please also refrain from telling me that this food is not good for me, because I know. That’s its appeal.